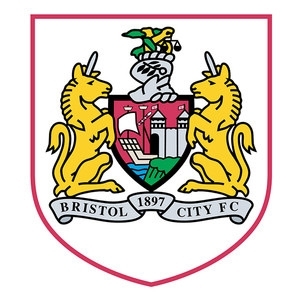 Clearly not a team to experiment with their wardrobe, Bristol City have played in red shirts since their formation as Bristol South End in 1894 (they changed their name to Bristol City three years later). 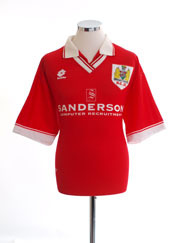 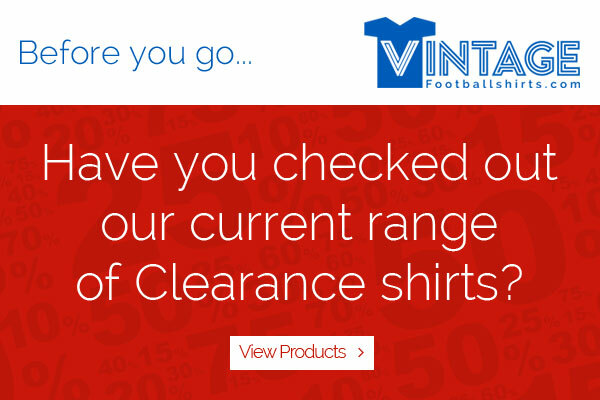 Generally the shirts have been complemented by white shorts and red socks although, as with most clubs, some variations have occured: black socks (mainly in the 1920s and 1930s), black shorts and socks (1981-82), red and white hooped socks (from 1945-1958) and numerous seasons of all-red strips (most recently in 2005-06).The club were trendsetters in their early days though, as from between 1901 and 1903 they sported a shirt crest featuring the city of Bristol coat-of-arms at a time when club badges/crests were seldom worn on team jerseys.Away from home, white (often with black trim) has been a frequent change colour, although several times in recent years the Robins have been known to turn out in Brazilian yellow with green trim away shirts. 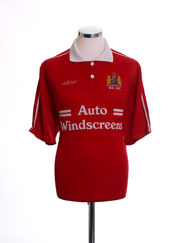 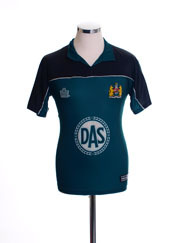 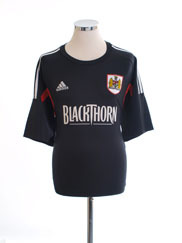 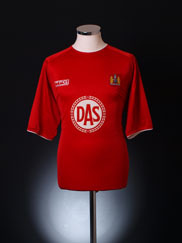 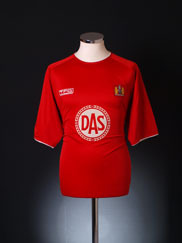 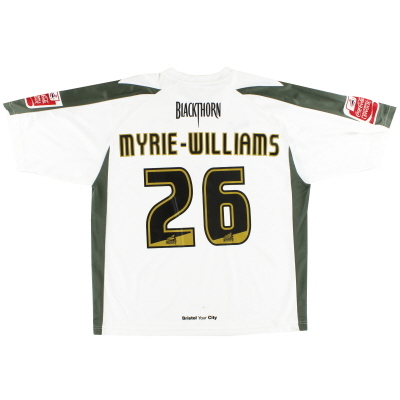 One of the club’s more unusual change colour combinations came in the early 1990s however, when purple jerseys with green trim and shorts were favoured away from Ashton Gate.Legal insurance company DAS have been the club’s longest serving shirt sponsors with two stints supporting the Robins; 1999-2005 and then again from 2008 to date. 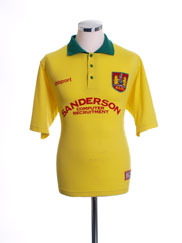 The side’s first sponsors however were Park Furnishers in 1981.